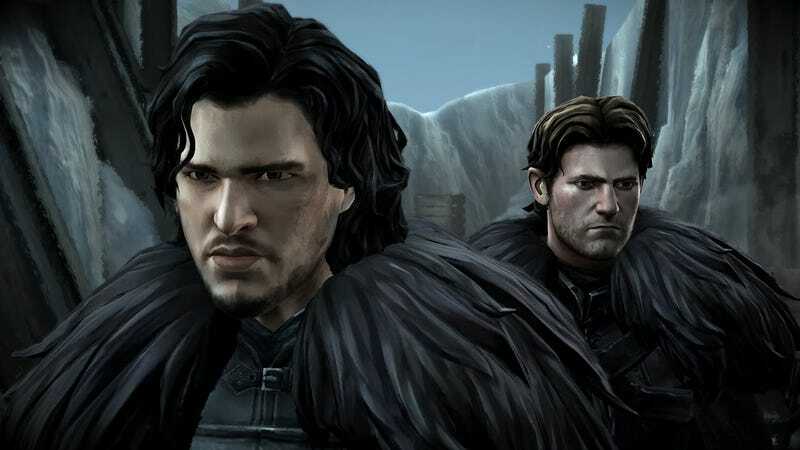 I just got done with one of my more obnoxious papers over the weekend, so to reward myself before finals, I started playing through all of the episodes of the Telltale Game of Thrones adaptation—it was either that or going back to Revelations 2 again, and since I was on a Game of Thrones kick because the fifth season is now in full swing, I decided to just go with the Telltale Games... game. It was interesting—I’m actually a huge fan of the story and all, so I replayed episode one the first night and did the rest of the episodes the next night. I guess my only problem with it is that it’s... episodic. While sometimes that can be a kind of cool idea, I’m not entirely sure it works for things that have such long breaks in them like Game of Thrones or the Walking Dead. There’s just so many character interactions to remember, so many random things you might have picked up in the last episode... it just doesn’t favor such a spread out format like that. The once a week approach that Revelations 2 was a little more tolerable, in my opinion. Anyway, enough of my rambling—on to the news.